The 1960’s changed the course of rock & roll so its ironic that the first number one single of the decade was by a member of the Country Music Hall Of Fame. 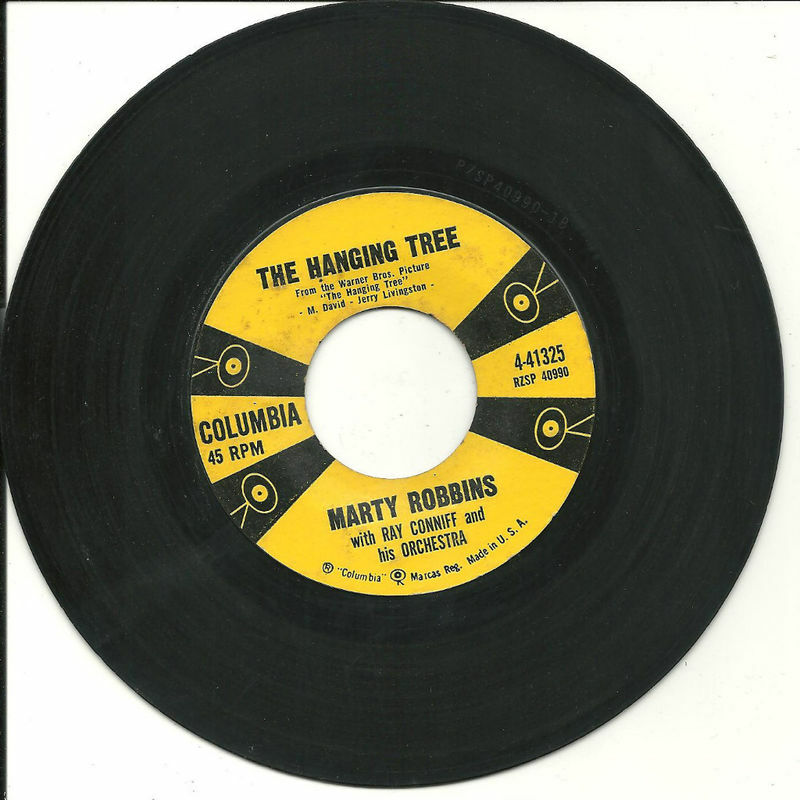 Marty Robbins placed a number of singles on the Pop Chart during the 1950’s with “A White Sports Coat (And A Pink Carnation)” reaching number two. It was, however, his series of GUNFIGHTER album that changed his career. They became both country and pop hits. His first volume sold over one million copies and produced the number one single “El Paso,” which topped the Billboard Hot 100 for two weeks beginning January 4, 1960. It would be his only number one pop hit but he topped the country chart 17 times. He was also a race car driver in his spare time and competed in the Daytona 500. He developed heart problems and passed away at the age of 57 in 1982. He was one of the first country artists to continually cross over to the pop chart and left behind a legacy of hundreds of songs including the first number one single of the 1960’s. 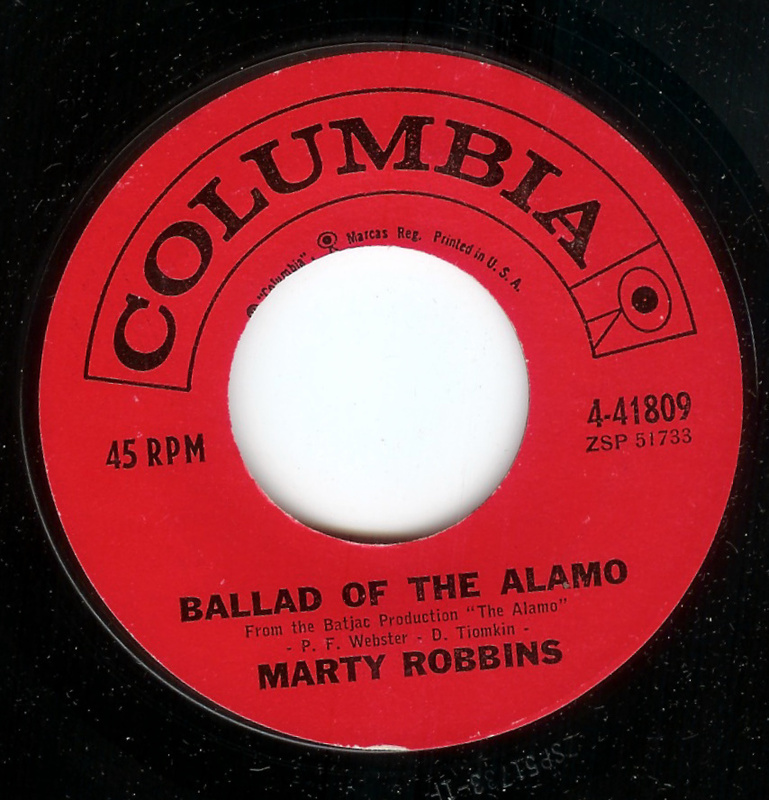 Marty Robbins placed over 90 singles on the BILLBOARD MAGAZINE Country Chart but “Ballad Of The Alamo” was not one of them. When John Wayne was filming his epic movie, THE ALAMO, he turned to Marty Robbins, who was a country superstar, to sing the title song. Released as a single during the early fall of 1960, it reached number 34 on the Pop Chart. It was more of a country song than many of his hits but the country radio stations never picked up on the song. Maybe they theough it was too Hollywood. It remains one of the very few Marty Robbins singles that did not make it onto the Country Chart. During the late 1950s and early 1960s, Marty Robbins was an influential country singer as his tales of the old west consistantly crossed-over to the pop charts and opened up country music to millions of new fans. “The Hanging Tree” was the title song of the movie by the same name starring Gary Cooper. Released during early 1959 it peaked at number 38 on the BILLBOARD MAGAZINE Pop Singles Chart. Marty Robbins material from his GUNFIGHTER series of albums are some of the forgotten pleasures of their era. Marty Robbins was a country superstar who had 80 top 40 country hits to his credit, including 14 number ones, before his premature death during 1982. He also had 24 singles cross over onto the BILLBOARD MAGAZINE Pop Chart. “Don’t Worry” was a huge country hit, remaining in the number one position on the BILLBOARD MAGAZINE Country Chart for 10 weeks. It crossed over to the Pop Chart, January 30, 1961 and peaked at number three. The song is famous for one of the first uses of a guitar fuzz tone by Grady Martin. 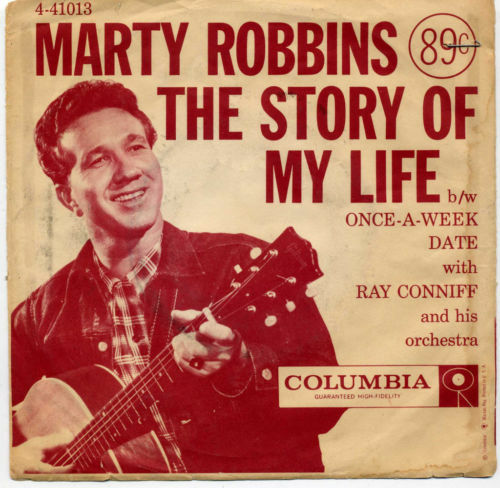 Marty Robbins started out as a Rockabilly singer and ended up as a country superstar. His GUNFIGHTER albums during the late 1950s and early 1960s crossed over to the pop charts and were influential in expanding country music beyond its small traditional base. During the mid-1960s he released a number of what cas best be described as pure pop songs that had success on the BILLBOARD MAGAZINE Pop Singles Chart. He released “The Story Of My Life” November 11, 1957 and it rose to number 15 on the pop chart. It was also the first Burt Bacharach song to become a hit. It was a story song that contained a smooth vocal vocal. While his country work would over shadow this ealy hit, it remains one of his best performances. Marty Robbins, 1925-1982, released over 50 studio albums and 100 singles. He had dozens and dozens of hits on the BILLBOARD MAGAZINE Pop and Country charts. The story song, “El Paso,” was his biggest hit. Released near the end of 1959, it would top the BILLBOARD Pop Chart for two weeks and their country chart for six weeks. It would win a Grammy Award for Best Country & Western Song. “El Paso” was an unusual single at the time, as it was just over four and a half minutes in length. It was a love song in which the hero dies in his lovers arms. 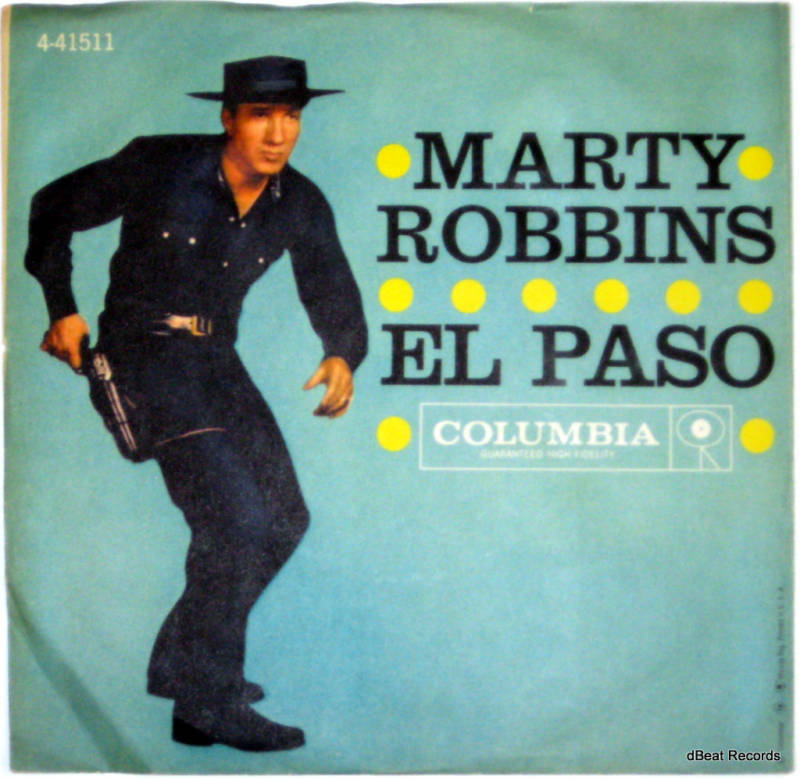 Marty Robbins received just about every honor a country singer could hope for, but “El Paso” remains his greatest song. Marty Robbins is best remembered for being one of the most popular country artists of all time. During his career, beginning in 1952 and lasting until his untimely death at the age of 57 during 1982, he placed over 90 singles and 30 albums on The United States Country Charts. Fourteen of his singles reached number one and fourteen of his albums cracked the top 10. He also crossed over onto the pop charts on a number of occasions. Songs such as his number one hit “El Paso,” plus “A White Sport Coat (And A Pink Carnation),” “Singing The Blues,” “Don’t Worry,” and “Big Iron” all became big hits on the Billboard Magazine Pop Singles Chart. His series of Gunfighter Ballad albums also crossed over onto the pop album charts. He was also a successful driver on the NASCAR circuit in his spare time. He participated in 35 races including the 1973 Daytona 500. Rockin’ Rollin’ Robbins takes his music in a different direction. It does not contain any of his biggest hits, but instead concentrates upon his rockabilly oriented material, issued between 1953-1958. It was a well thought out release as it presents material that is usually ignored. My only real complaint is I wish the songs had been presented in chronological order. “It’s A Long Long Ride” is the oldest track having been recorded September 19, 1953. Johnny Gamble’s fiddle may place the song in the country style, but it is a raw effort that comes close to early rock ‘n’ roll. He also proved he could write good songs during this early period of his career. Tunes such as “Mister Teardrop,” “Respectfully Miss Brooks,” “Pretty Mama,” “Pain And Misery,” and “Mean Mama Blues” are all nice to have available. 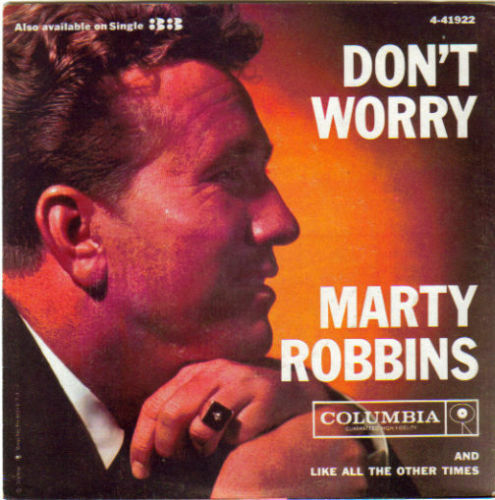 Rockin’ Rollin’ Robbins would make an excellent addition to the collection of any Marty Robbins fan. While he would quickly go in a pop direction and then on to a long country career, which would lead to his induction into the Country Music Hall Of Fame, at this point he was producing music that helped to shape early rock ‘n’ roll. The album not only contains 19 tracks of good music, but is a nice look at the history and evolution of fifties music. 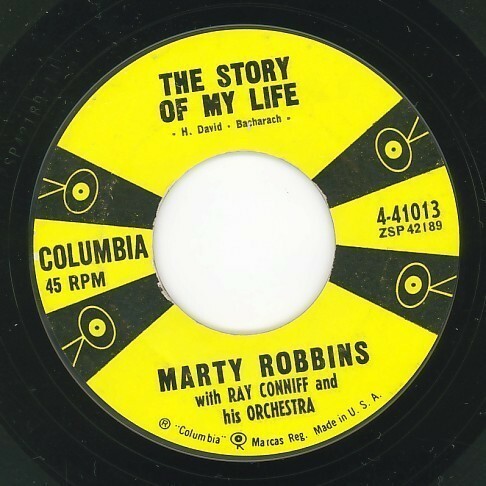 Article first published as Music Review: Marty Robbins – Rockin’ Rollin’ Robbins on Blogcritics. You are currently browsing the archives for the Marty Robbins Reviews category.